Lucaya Village is a superb new short-term rental community. 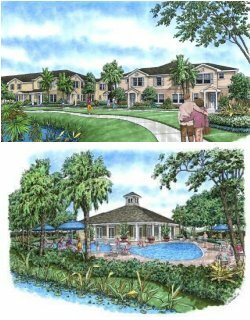 The community features 3 & 4 Bedroom town homes set on an island just five minutes from Disney World and within walking distance of a fantastic range of shops and restaurants. The Town Homes are 3 and 4 bedrooms ranging in size from 1,328 to 1,646 sq ft with 2 or 3 bathrooms. All units will come with a furniture certificate of $6,000 and $5,000 of closing costs paid. SALES BEGAN SPRING 2006 CONTACT US TODAY!